A former associate at Skadden, Arps, Slate, Meagher & Flom was sentenced Tuesday to 30 days in prison for lying to investigators in special counsel Robert Mueller’s investigation. In imposing the sentence, U.S. District Judge Amy Berman Jackson rejected Alex van der Zwaan’s request for probation, report the National Law Journal and Politico. “We’re not talking about a traffic ticket,” Jackson said. Jackson also ordered van der Zwaan, 33, to pay a $20,000 fine and to serve two months of probation. He will be able to leave the United States after he completes his jail term, which means he will be able to return to London and to his wife, who is due to give birth in August. Van der Zwaan could have been sentenced to up to six months in jail. He is the first person sentenced in the special counsel probe of Russian influence in the 2016 election, CNN reports. Van der Zwaan pleaded guilty on Feb. 20 to lying in connection with his Ukraine work as a lawyer for Skadden. Prosecutors said van der Zwaan lied about his communications with “Person A” and with former Trump campaign aide Rick Gates, who pleaded guilty on Feb. 23 to failing to disclose his Ukrainian consulting work and offshore holdings. According to a document filed last week by Mueller’s office, Person A has ties to a Russian intelligence service, and he had such ties in 2016. Person A is thought to be Konstantin Kilimnik, who worked with Gates and former Trump campaign chairman Paul Manafort. who is charged with conspiracy to launder money received for Ukraine work. 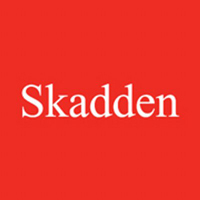 Skadden was hired in 2012 by the Ukraine Ministry of Justice to prepare a report on the trial of former Prime Minister Yulia Tymoshenko, a political rival to the man who was then the leader of Ukraine. The Skadden report concluded Tymoshenko was denied counsel at critical stages of her trial but her conviction was supported by evidence. Prosecutors say van der Zwaan gave an advance copy of the Ukraine report to a public relations firm working with Ukraine, despite instructions to the contrary from senior Skadden laywers. A sentencing memo says Person A told van der Zwaan in September 2016 that the new Ukrainian government might file charges against van der Zwaan as well as Skadden. Van der Zwaan had recorded the calls with Person A, and he recorded his call with a Skadden partner when he spoke with him about the prosecution threat. On Monday, the special counsel’s office said in a court filing that van der Zwaan has information related to the investigation “that is not widely known—including information that he knows first-hand due to his role in the conduct the office is investigating.” Courthouse News Service and CNN covered the filing. The special counsel document asks Jackson to uphold a provision of van der Zwaan’s plea agreement that waives his right to receive or request information about the investigation.